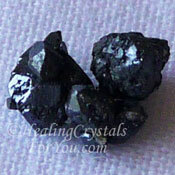 Vivianite has a helpful energy to assist you to release any negativity from your thinking and is a valuable stone to support communication. It helps you to have a more compassionate ability to share information with others. 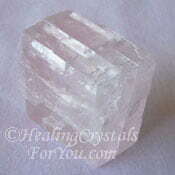 Its vibration may also inspire clearer and more harmonious communication. 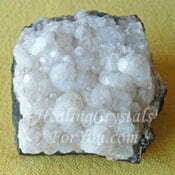 It has beneficial metaphysical properties that help to remove any discordant energy from your aura. This clearing of undesirable vibrations may help to improve your health. 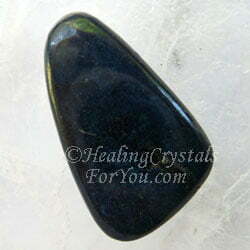 This deep blue stone is known to be an excellent healing aid, benefiting your health in a number of ways. 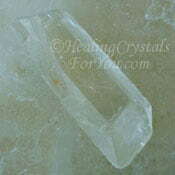 Simply holding one of these crystals can be absolutely revitalizing. 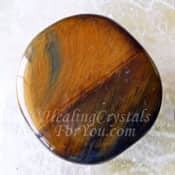 The strong compassionate vibration of these stones is an excellent emotional restorative, as well as aiding healing on both a physical and spiritual basis. The meaning of the name of this stone relates to the name of the English mineralogist, J G Vivian, who first discovered this stone. 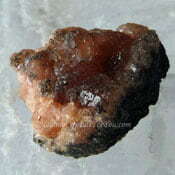 Deposits of this stone have been found in Australia, Germany, Ukraine, Bolivia, Brazil and the USA. 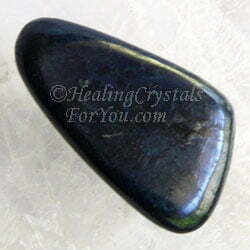 The color of these stones is deep blue and/or dark green, with some forming as transparent or translucent crystals. 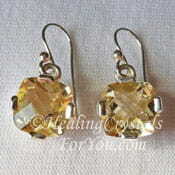 Pieces of natural stone are known to darken when left exposed to light. Therefore many books suggest that you should keep it in a dark place, and not to expose it to sunlight, as it is known to darken to almost black. Personally I have not noticed this happening with my stones, but this may be because they have been coated with something before I got them. 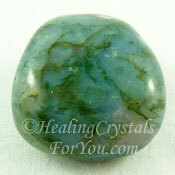 This stone has a quite beautiful blue-green frequency that has a strong action to aid emotional healing. 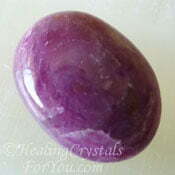 If your relationship has been lacking closeness or vigor, this stone may help to rekindle the intensity and vibrancy of your personal connection. Your emotional health may be helped by its action. On an emotional level it particularly resonates within the heart and the higher heart or thymus chakra and it helps to release inharmonious and negative energy from within your auric field. Once you allow yourself to let go of any undesirable energy you have been holding onto, you will feel more peaceful and serene. 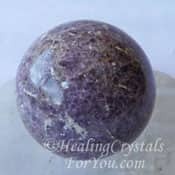 The energy of stone is helpful to relieve stress and heartbreak on a deep emotional level, as well as aiding physical healing. 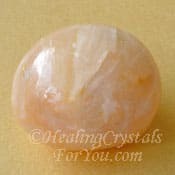 This stone's vibration stimulates in most people feelings of deep compassion for others especially for those who need help after some sort of trauma or upheaval. 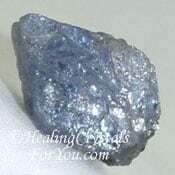 It has an excellent healing action for those who are suffering from shock or emotional wounding following distressing injuries or personal heartbreak. Why Would You Use Vivianite? 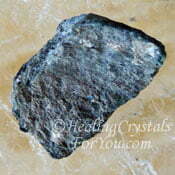 Vivianite are useful for a number of reasons including to relieve stress and burnout and to inspire clearer communication. In particular one of its best uses is to have it close in your daily meditation. 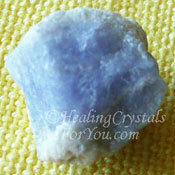 They are worthwhile to use for meditation as they may help to boost your intuition. If you are not quite sure how to do meditation, checkout my article about easy instructions for meditation. If you are working on setting goals they may aid you to let go of past ways of looking at a problem, and may help with the release of memories that have help you back from finding solutions and achieving your aims. 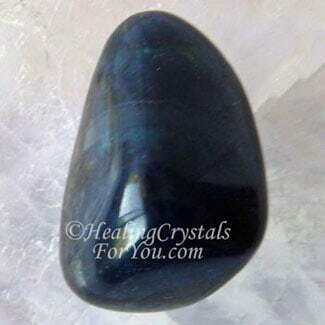 This blue stone is known to be useful if your aim is to travel during meditation within the higher realms and it can help you to go to where you want to and return safely. 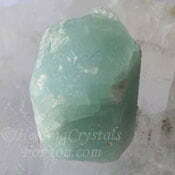 Simply hold a piece of this blue-green stone in your hand while doing a crystal meditation, and you will soon feel its strong compassionate vibration filling your entire being. 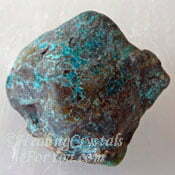 They are beneficial healing crystals for you, as they have a quite powerful love vibration. If you allow its energy to assist you it will activate both physical and emotional healing and may increase your self esteem. 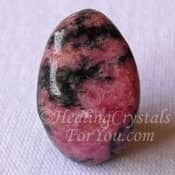 It has an unusual energy that works on a number of levels simultaneously, assisting you to solve various life issues that you have been unable to see solutions to. 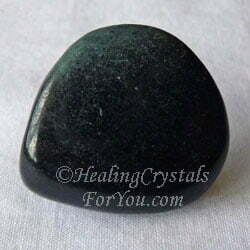 If you feel at all unwell, it can be quite beneficial to hold a piece of Vivianite in your hand, as this can help to restore your vitality and may relieve lethargy. 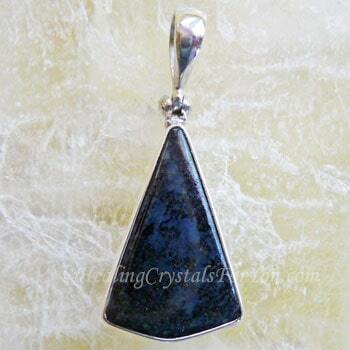 This dark blue stone is said to work by assisting the restoration of the health of cells which may need healing, and is known to be helpful to assist physical healing in a number of ways. 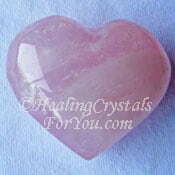 It is said to be especially helpful to aid women as it embodies a strong feminine energy. It is known to boost the immune system, and may help you to recover from specific ailments more quickly. These crystals are particularly known for helping your sight, and this includes both your actual eyesight and the manner in which you observe the world in which you live. If you have health problems related to the heart, the liver or the spine, keeping a piece on your body may be advantageous to your health. 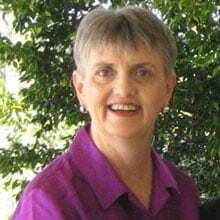 It is also known to assist those having age related diseases such as osteoporosis and dementia. 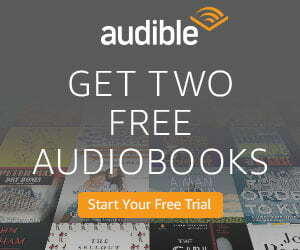 It may also be of value for younger people who may be having difficulty with memory. 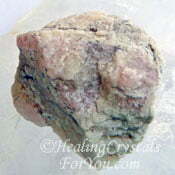 This is an iron rich stone, so it may help you if you have an iron deficiency. 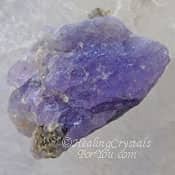 For crystal healers, place a piece under your healing table or close by the area where the client is located, as it will help you to decide what is required for their healing. 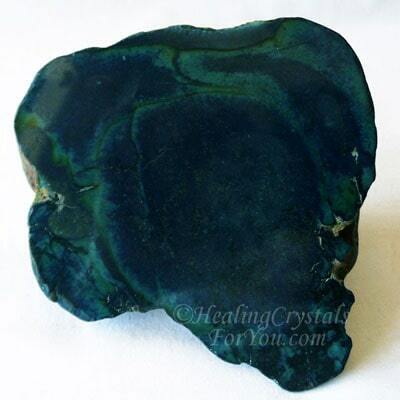 Simply having a piece of Vivianite in your healing room is also known to clear emotional energy from those being healed, allowing them to be able to receive a better healing outcome. 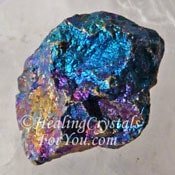 This crystal is also known to aid the healer to heal, especially if you are suffering from burnout from working too long or too hard. 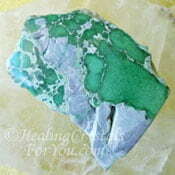 This is another good reason to keep a piece in your healing room. 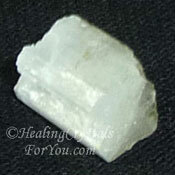 This crystal it is also known to be especially beneficial if you are doing distance healing. 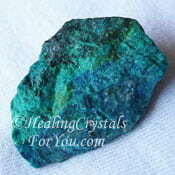 Vivianite crystals have a good action to improve communication, as they resonate strongly within the throat chakra as well as within the third eye chakra. 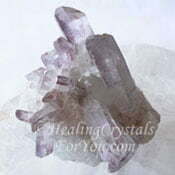 If you would specifically like help with communication, wearing a pendant made from this crystal at the throat may be beneficial, or earrings if you can obtain them. 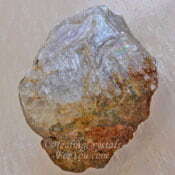 As jewelry made from this stone is not common, if you are unable to obtain any, you can instead keep a piece in your pocket as high as possible on your body. 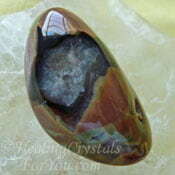 The energy of this stone resonates well at the third eye. 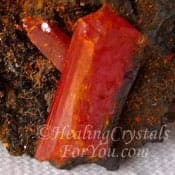 As these crystals have a good energy to assist you with developing your intuition it may benefit you to use it there during meditation. 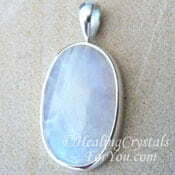 Another use for this stone is for those who want to discover the meaning of their dreams. 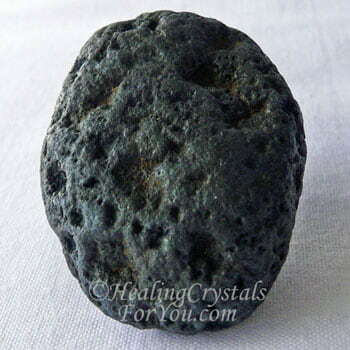 For those who have been experiencing disturbing dreams, using this stone before sleep may assist you to re-experience the dream. This may help you to gain a better understanding of your previous dream. 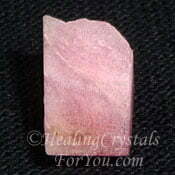 You may even be able to make changes in the dream so as to bring resolution to your concerns. 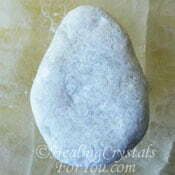 This stone resonates with the sacral or navel chakra, as well as within the base and earth chakras. This assists you to make a deeper earth connection. This earth connection is known to aid you to understand the energy behind crop circles and perhaps grasp their cause and meaning. 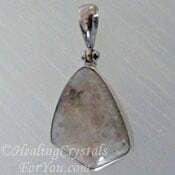 This is a lovely stone to wear on your body for a number of reasons. If you have been feeling stressed or anxious or if you feel physical exhaustion and burnout it may benefit you to keep it on your body. Crystal jewelry is of course an easy way to do this, but if you are unable to obtain jewelry you can simply carry a piece in your pocket. 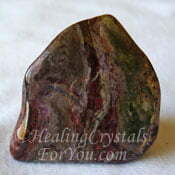 If you have goals that you have been working on, and have not yet achieved, the energy of this stone may be beneficial to assist you to succeed in accomplishing your intentions. 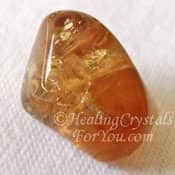 This crystal has excellent metaphysical properties that are well known to aid those who have been working on putting a plan into action, but still need help. It has a supportive vibration to assist you to reach the desired result, by assisting you to remain positive about the attainment of your goal. By aiding you to clarify what your final intention is, it is known to boost your ability to successfully achieve your purpose. 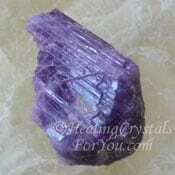 This is a Capricorn birthstone, so if this is your sign you may particularly be aided by using it. "Everything is energy and that's all there is to it. Match the frequency of the reality you want and you cannot help but get that reality. It can be no other way. This is not philosophy, this is physics." Albert Einstein. 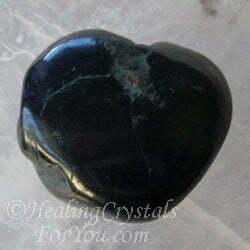 This stone has such a lovely heart based energy. 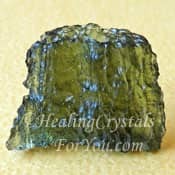 Its vibration will work in combination with other heart chakra stones to increase the overall level of your ability to give and receive love, and may help you to live a happier more contented life. 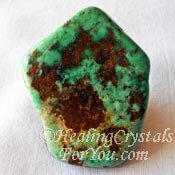 If you are working with this stones energy to stimulate compassion for others, you may choose to use it with some of the other strong higher heart chakra stones to stimulate the level of compassion in your life. 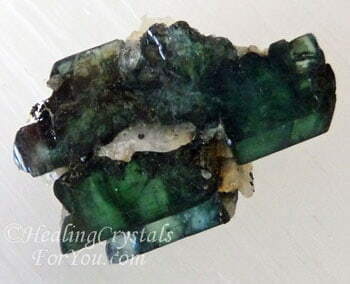 It combines well with higher heart chakra stones such as the lovely pink Tugtupite stones, Rhodonite, Rose Quartz, Dioptase, Variscite, Stichtite, Crocoite, Green calcite, Transparent Pink Calcite and Kunzite. 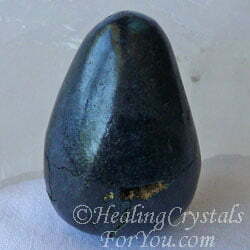 Using this stone with some of the high vibration stones may be beneficial, as this combination helps to boost the level of the energy of Vivianite to a higher vibration. 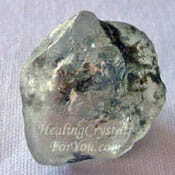 Stones that you may choose to use with it includes high crystal energy stones such as Stellar Beam Calcite, Moldavite, Herderite, Natrolite, Tanzanite, Afghanite, Phenacite or Brookite. 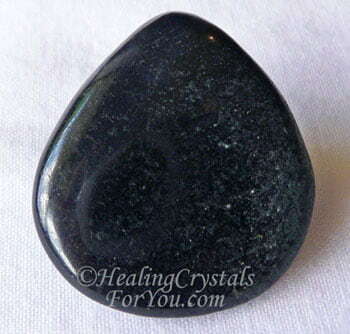 Vivianite is a strong stone to relieve stress, and will combine well with other stones you might already be using to assist your stress or anxiety. 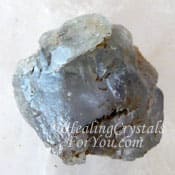 Stones you may choose to use with it includes the lovely Blue Aquamarine, Scapolite, Datolite, Lilac Lepidolite, Diaspore, Quantum Quattro, Mt Hay Thundereggs, Lithium Quartz, Scolecite, Eucryptite or Variscite as these are all helpful to aid stress. 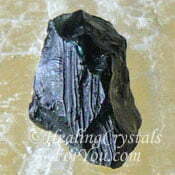 To help you if have exhaustion and burnout use it with Sphalerite, which is another stone that can help this problem. 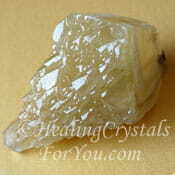 To help you with setting goals, you may choose to use it with other crystals that assist goal setting. 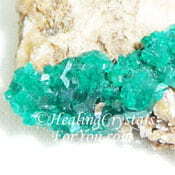 This includes stones such as Vanadinite, Ruby, Seriphos Green Quartz, Herderite, Carnelian, Treasure Agate, Tigers Eye, Moss Agate, Scapolite, Marialite or Peacock Ore.
Vivianite is one of the crystals that stimulates you to develop your intuition. 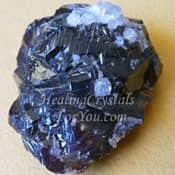 Other stones that you may choose to use to strengthen your intuitive gifts includes Iolite, Citrine, Rainbow Moonstone, Eckermannite, Euclase, Agrellite, Serendibite, Stilbite, Hureaulite, Albite or Bustamite.